Facial Products Natural Enough to Almost Eat !!! Home/Anti-Aging, Beauty Tips, Business, Glowing Skin, Skin Care/Facial Products Natural Enough to Almost Eat !!! Cucumbers are nature’s treat, yummy in salads and even alone. When you think of this popular produce you may not be aware of all of its benefits such as it flushes out toxins, keeps you hydrated and even provides you with vitamins such a B and C.
MD Dermatics figured out that cucumbers are also good for your face and can provide the best facial in Singapore. Cucumbers are packed with minerals that are ideal for your skin such magnesium, potassium and silicon. Cucumber treatments are the rage in your best spas in Singapore and Indulgence Beauty provides this wellness treatment for you in the comfort of your own home. 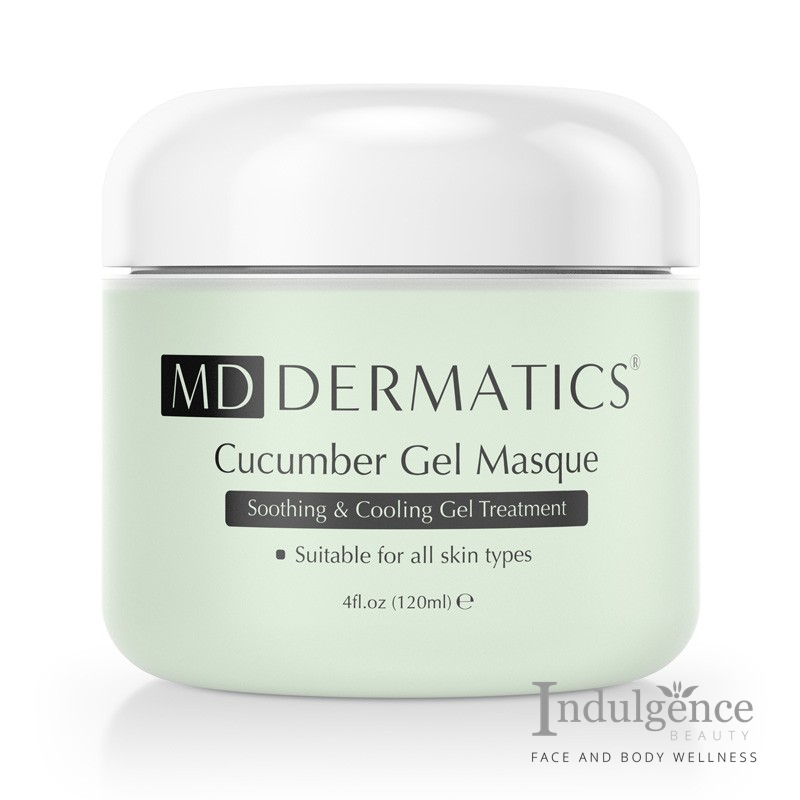 MD Dermatics has created Cucumber Gel Masque which is a soothing masque treatment for every skin type. Those yummy cucumbers are actually wonderful a creating a gentle cooling and soothing face mask filled with natural synergy of herbal extracts that provides an anti-irritant and anti-inflammatory effect. So the next time you are at the market considering adding cucumber to your basket !! !